NOW AVAILABLE - LEASING AS LOW AS $679/MONTH! Introducing Version 8.0 of the 710Shark Automated Cartridge & Disposable Filling Machine. a. This enclosure protects the integrity of the oil, adds a required safety measure and helps to maintain heat inside the system. In addition, it acts as a natural warmer for cartridges that may have thick posts for easier fills. The labor and materials cost of this enclosure is significant, but a requirement for lab quality systems. a. Our costs on this part have increased 40% due to new materials being used, a new coating process and the labor to assemble it. 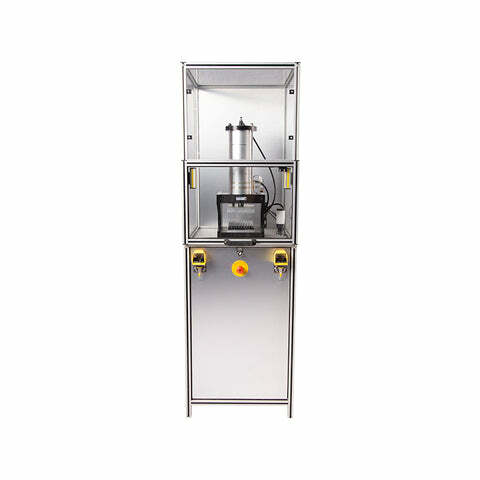 It dramatically improves several of the processes/parts needed for filling. 1. This new plate now allows a client to switch out needles in half the time and it causes a better seal to stop any possible leaking from the top of the needle enclosure. Improves heat transfer to needles as well. 1. We now have a manual process that increases our labor cost, but ensures that each needle is the exact same length to ensure that unnecessary oil does not reside after filling. a. We are utilizing a better air cylinder for better/smoother performance in the movements of the machine. This allows for better transitions, saving time and potential loss from any inconsistent or ‘jerky’ movements. a. This protects the integrity of the oil as a secondary measure. It also helps remove any drip from the needles when transitioning to the cartridges. This creates a cleaner fill every-time. Pressing "Back" button - stations reset step by step in reverse order. Pressing the emergency stop button - stations reset step by step in reverse order and machine needs to be "reset" to continue use. 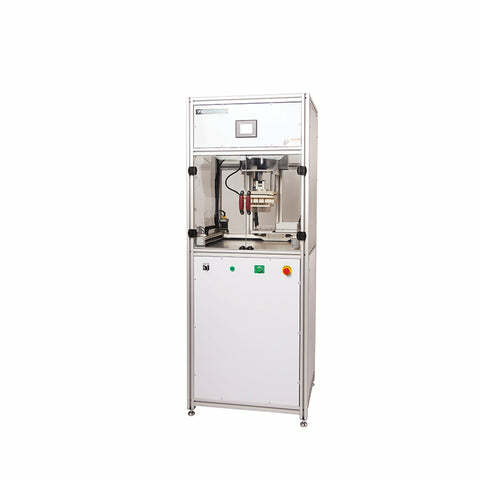 Machine arrives “Ready-to-Run”, pre-assembled and pre-tested from our factory. The 710 Shark fills a wide range of different cartridges including stainless steel/glass and ceramic/plastic, as well as disposables (all of which we provide at an additional cost). The dual heat injection system makes it easy to fill even the thickest of oils into your cartridges/disposables. Do not be fooled by Chinese knockoffs - we own the Patent for this machine! Up to 100 Cartridge or Disposable Fills in less than 60 seconds.